Ho, ho, ho and a Merry Christmas to all of you wonderful Pingler readers. The Christmas season is, without a doubt, one of the busiest times of the year for online businesses, and we’re sure you’ve had a hectic run up to the big day. But Christmas day is finally here! 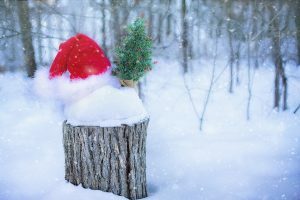 It’s time to eat your weight in turkey and mince pies, be merry on mulled wine, and then sit back, relax and contemplate what a great year it’s been for the marketing and online business community. Due to the continued development and popularity of mobile devices, the trend for app-based marketing has grown extensively. Consumers are becoming more reliant on apps for browsing and making purchases, with statistics showing that 90% of mobile media time is spent in apps. Google released a feature mid-year called app streaming that allows users to access unique app functionality within search results without the need to have the app installed on their device first. The advancement of mobile app development has created greater opportunities for business owners and marketers with more and more businesses developing their own apps. Online marketers are attempting to give each customer a unique experience by pushing the technological and logistical limits of personalisation. This year has seen the increased development of interactive features, variable forms of content and individualised recommendations. Marketing automation services have used the growth in predictive analytics to expand on automated lead scoring and grading based on algorithms. Marketers are now able to use these integrated tools to track the buyer’s journey, measure sentiment and loyalty and, most importantly, understand and meet their audiences’ needs and interests. Focus has always been largely centred on giving consumers the best possible customer service, but advancements in the development of artificial intelligence has taken this one step further with the emphasis now on customer engagement. Brands are now developing bots to provide customer assistance, the most well-known being Apple’s Siri, and then there’s the latest addition, Facebook’s Bot Engine for Messenger. These bots help the brand to provide personalised, interactive communication akin to talking to a human customer service rep, but at a much cheaper cost than using a call centre. It’s not just customer service in the query sense either. The bots can help make life easier for the user – they provide a two-way dialogue when you need it and can help you in your day-to-day life, from navigating you to your destination to buying last minute tickets to a show. It’s clear to see that there’s going to be many more changes to come in the world of marketing and online business and it’s of the utmost importance that you stay in the loop so that your business can prosper. However, the secret to increased productivity is taking time out to recharge and Christmas is the perfect time to do exactly that. So enjoy time with your family and friends, live in the moment and get ready to start 2017 refreshed and raring to go!